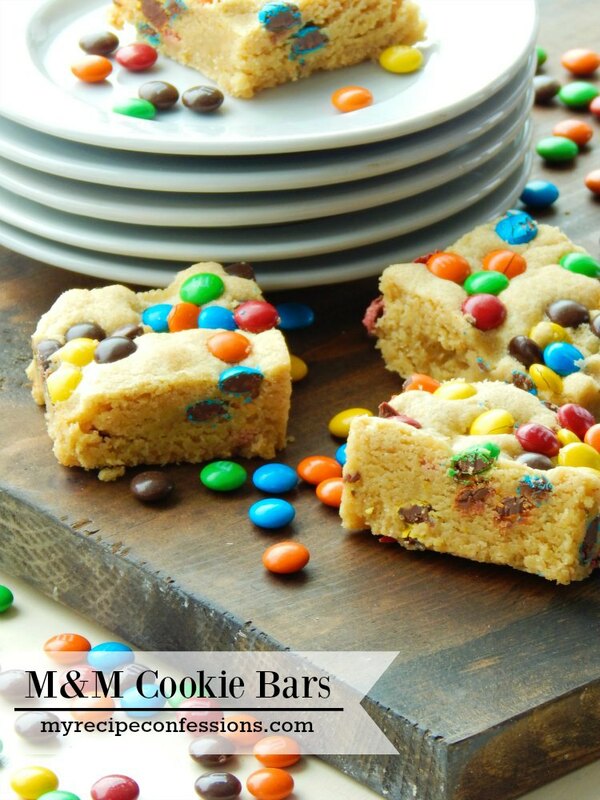 I have searched high and low for a good recipe for M&M cookie bars. 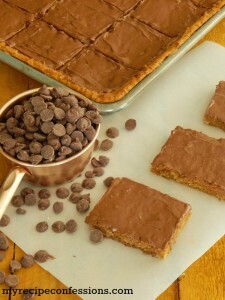 I have been craving them and was surprised at how few recipes are out there. The ones that I did find were either too dry or were lacking in flavor. After 4 batches, I finally figured out a recipe that I love! The crazy thing is that the recipe was right in front of me the whole time. I used my recipe for Gourmet Chocolate Chip Cookies. Instead of rolling the cookie dough into a ball for cookies, I pressed the cookie dough into a 9×13 pan. They are delicious! I don’t know why I didn’t use this recipe to begin with. 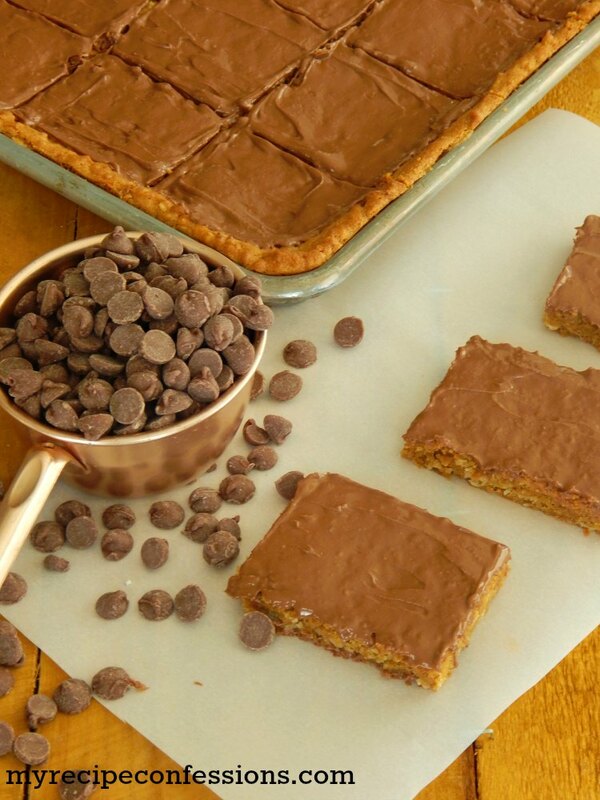 The trick for these cookie bars is that you need to let them cool down completely before you cut and eat them. If you don’t let them cool down, they will be doughy. Don’t make the mistake of over baking them because they will be dry if you do. In a small bowl, mix the flour, salt, and baking soda together. In a medium sized bowl, cream the butter and sugars together. Add the egg and egg yolk and continue to mix. Mix in the vanilla extract and french vanilla pudding until well combined. Stir in the flour mixture and mix just until the flour disappears. 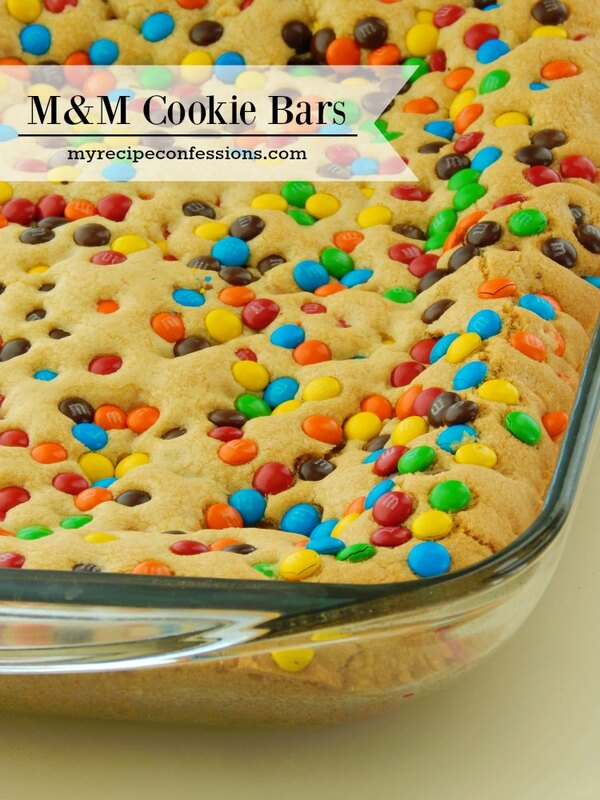 Set aside 1/2 cup of M&Ms and gently stir in the remaining M&Ms into the dough. Spray a 9×13 pan with baking spray. Press the cookie dough evenly into the 9×13 pan. 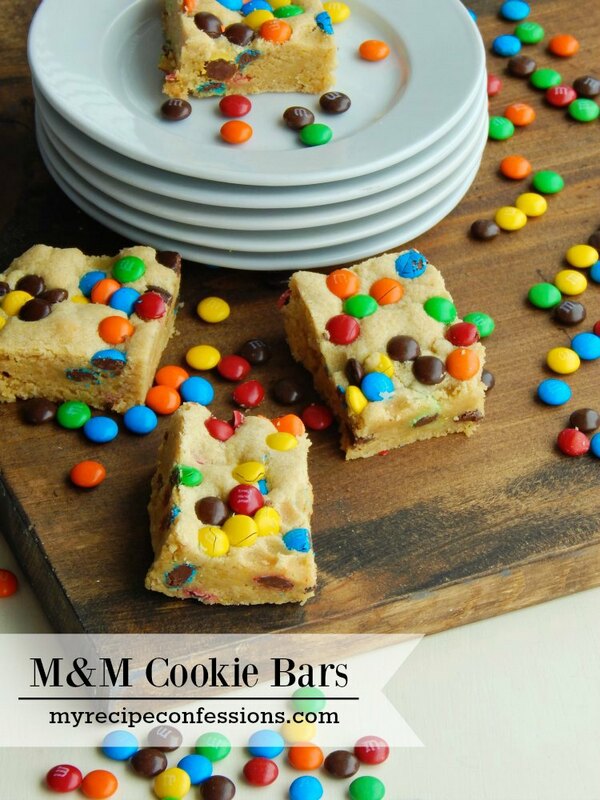 Sprinkle the 1/2 cup of mini M&Ms over the cookie dough and gently press them into the dough. 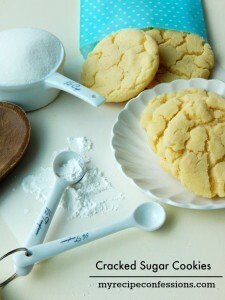 Bake for 25 to 30 minutes or until the cookies are a light golden brown on the edges. Remove from the oven and cool completely. The cookies will look doughy but when they cool down they will be perfect. Do not over bake them or they will be dry. 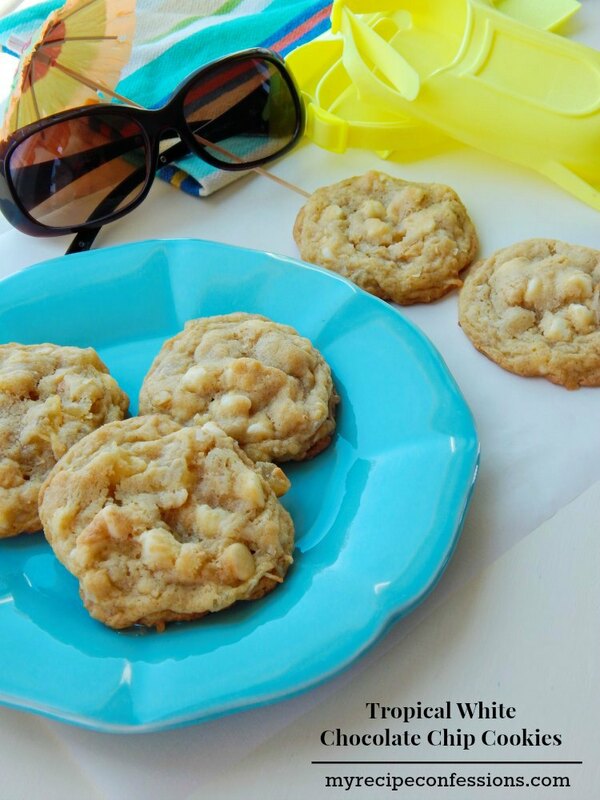 Here are a few other delicious cookie recipes that you should try.